When you think of Rome, what comes to mind? Most likely, the Colosseum or the dome of St. Peter’s Basilica draped in the inky reds and pinks of the day’s last light came to mind. Or perhaps, narrow cobblestone streets lined with stylish shops and aromatic trattorias. So, in addition to taking Rome tours of the major landmarks, it’s just as important to figure out where to eat in Rome. From pizza in Trastevere to aperitivo in the Monti district, this guide has you covered. Headed to Rome? In addition to sightseeing, eating the best Roman cuisine is vital to a complete Italian experience. Check out the assortment of available Rome tours including a foodie-led Rome food tour in Trastevere. If you like pizza, just wait until you try it in the Eternal City. Eating pizza in Italy (and especially in Rome) is a major treat. Sprinkled throughout the city are restaurants that sell pizza al taglio (cut to go), and Neapolitan pizzas prepared in wood-burning ovens. Whether you’re grabbing lunch to carry out, or sitting down to a family-dinner, learn about a few places that serves up the best pizza in Rome. With simple, fresh ingredients and your choice of a crispy or soft, bubbly crust, you’re in for a treat. The word aperitivo comes from the Latin verb “aperire,” meaning “to open.” This refers to the idea of opening your tastebuds to new flavors and cuisines. So it makes sense that this awesome Italian tradition takes place after work and before dinner. Consisting of some light snacks and a few cocktails or glasses of wine, the most comparable American tradition is Happy Hour. But don’t tell Romans that! Here are some options for the best aperitivo in Rome. With an abundance of places to eat and drink in Rome, there’s always another place to try out. But don’t fall for the gimmicks of tourist bars. When in Rome, do as the Romans do! We’ve compiled this list of the best bars in Rome to make it easy. From rooftop bars to enotecas to cocktail bars, start with these places. Contrary to popular thought, it’s not hard to figure out where to eat in Rome if you’re lactose intolerant. While a lot of of food in Rome is prepared using generous helpings of cow’s milk and cheese, there’s also plenty of options that skip it. For example, did you know that cacio e pepe is prepared with sheep’s cheese? That means that if you’re craving the creamy Roman pasta dish, go ahead and eat as much as you want. For more ideas about traveling while lactose intolerant, check out these tips. When hanging out in Rome, it’s always a win to find a place that not only serves up delicious cocktails and food, but is also so comfy you feel right at home. If you’re looking to mingle with the locals and enjoy some delicious Italian coffee or a tasty meal, here is where to eat in Rome. Sure, Rome is jam-packed with incredible restaurants and bars. But the piazzas of Rome are almost as plentiful. When in Rome, combine the two and enjoy some lunch on the go outside. So, grab some pizza al taglio or a panino and head out to Piazza Navona, Piazza della Rotunda or Campo de’ Fiori. You’ve got some people-watching to do! Rome has 22 districts, or rioni. And each is packed with incredible places to eat and drink. From family-run trattorias, pasticcerie, paninotecas, open air food markets and enotecas, no matter what Rome neighborhood you find yourself in, there’s fantastic food to be had. From the posh Piazza Navona neighborhood to the funky Testaccio district, here’s where to eat in Rome. Located just across the Tiber River’ as its name suggests, Trastevere’s narrow cobblestone streets steal the hearts of locals and tourists alike. Filled with great spots for food and drink, plus a plethora of independent shops, this charming old-world Rome neighborhood buzzes with a vibrant social scene. Especially if you’re a night owl or a foodie, the Trastevere neighborhood has it all. 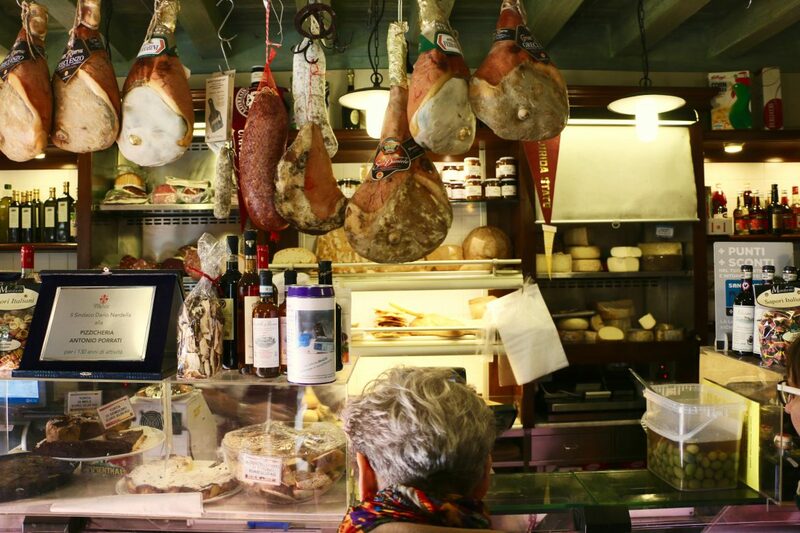 In fact one of our best Rome food tours is right here. With a reputation for being one of Rome’s most authentic foodie districts, this once working-class district grew up around the Rome’s old slaughterhouse. These days, the slaughterhouse is defunct, but the Testaccio food market is here, along with tons of delectable places to chow down. Head here if you want a break from the hoards of people in the center of town. Here’s our list of the best Testaccio restaurants. If you’re going to visit the Vatican, you’re bound to work up an appetite. Taking in all that in all that incredible art at the Vatican Museums and inside St. Peter’s Basilica takes a lot of energy. The good news is, the area around Vatican City is loaded with a ton of delicious restaurants, places to grab aperitivo and stylish bars. Here are the best restaurants near the Vatican in Prati, Rome. It’s true what they say, Rome at night is incredible. And there’s no better place to enjoy it from a rooftop bar with a cocktail in hand. If this sounds like as appealing to you as it does to us, here are the best rooftop bars in Rome near the Vatican. There’s no better way to take in the sight of Rome’s rooftops in Prati. In addition, a rooftop bar is the perfect vantage point to enjoy St. Peter’s Dome. Every trip to Rome should include a visit to the Pantheon. Located in Piazza della Rotonda, the Pantheon is surrounded by a lively neighborhood full of delicious eats. In our opinion, the key to an optimal Pantheon visit is to pair it with a delicious meal. So before you pull up Yelp or start looking around on your own, start these suggestions about the best places to eat near the Pantheon in Rome. Of all the places in the Eternal City, Piazza Navona is one of the most beautiful and well-known. A must-see attraction, skipping this piazza on your Roman Holiday is a mistake. But when in Rome, eating is just as important as sightseeing. And so, whether you want a quick bite or a classic Italian meal with a crisp glass of wine, here are five of the best Piazza Navona restaurants. 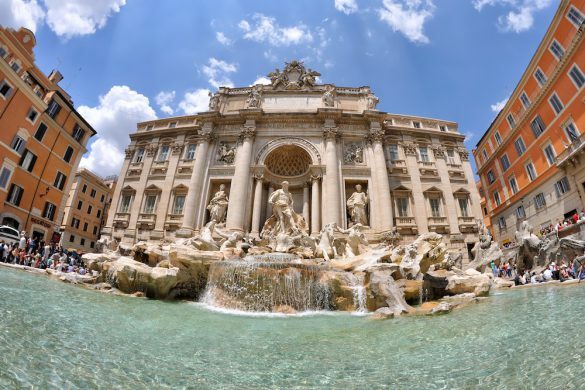 Roughly 3.5 million tourists a year visit Rome’s Trevi Fountain, which makes it tough to tell the tourist traps from the authentic (and delicious) restaurants. It’s true, there are ways to tell if a restaurant is less than stellar. For example, skip it if the menus are written exclusively in English. However, it’s always better to listen to the locals about what the best restaurants near the Trevi Fountain are. It goes without saying that a trip the Colosseum is included on your Rome travel itinerary. A trip to the Eternal City isn’t complete without making a pilgrimage to the largest amphitheater in the world. And so, if you find yourself famished after finishing up one of our Colosseum tours, hit up one of these places for a satisfying meal. After taking in the most incredible testament to Rome’s ancient history, it’s natural to feel parched. As a result, there’s no better time to enjoy a cocktail! Check out these rooftop bars in Rome near the Colosseum for a chance to relax and reflect on the rich cultural legacy of the Eternal City. Despite this Rome neighborhood’s proximity to the Colosseum and Piazza Venezia, Monti is one of Rome’s hidden gems. With plenty of vintage shopping, people-watching and delicious places to eat, Monti is chock full of things to do. Whether you’re staying in Monti, or you’re just exploring this little slice of Rome, check out these cozy trattorias, gelato shops and bars specializing in artisanal cocktails. Here are the best Monti Rome restaurants. Ciao Erin! What a lovely compliment. We’d love to welcome you to Italy! Come on over and we’d love to show you around.